A U.S. District Court judge in Oregon today dismissed the Humane Society of the United States' challenge to the government's plan to kill salmon-munching California sea lions at Bonneville Dam. Judge Michael Simon issued the 44-page opinion earlier today. 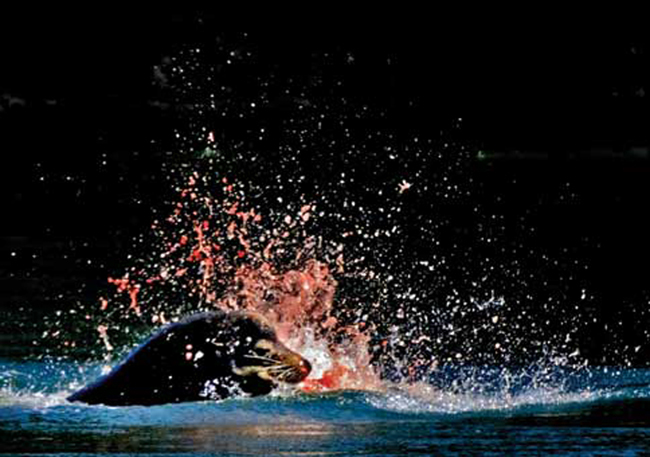 The National Marine Fisheries Service "did not act arbitrarily or capriciously" when it re-authorized Oregon, Washington and Idaho's ongoing program to kill sea lions, Simon wrote. The states first applied for lethal take in 2006, which led to on-and-off legal challenges. Last March, NMFS reauthorized the program through June 2016, saying the sea lions posed a "significant negative impact" to five runs of salmon and steelhead listed under the Endangered Species Act that pass Bonneville, the first dam they encounter on the Columbia River. That decision sparked the latest lawsuit. Under the re-authorization, the states are allowed to kill up to 92 of the animals a year, either by lethal injection or shooting them. They have to be identified as eating salmon and not deterred by hazing efforts. The Humane Society argued that NMFS was being arbitrary by allowing commercial and sport anglers to take up to 17 percent of those wild fish while sea lions consumed up to 4 percent of them at the dam. In his opinion, Simon noted that sea lions likely eat more of the fish than observers can document. The authorizations for anglers under the Endangered Species Act also use different standards than protection for sea lions under the Marine Mammal Protection Act, he wrote. Under the Marine Mammal Protection Act, NMFS defines a significant impact on wild fish as "meaningful" and not "insignificant" or "meaningless," Simon wrote. The data on salmon consumption by California sea lions meets that standard, he said. Simon also backed the government's argument that fishery managers can scale back fishing when runs are low, but can do little to deter sea lion consumption short of the lethal take program. Barring a successful appeal, the decision means the lethal-take program will resume when the seal lions return to Bonneville this spring. NMFS plans to assess the program again after 2016.